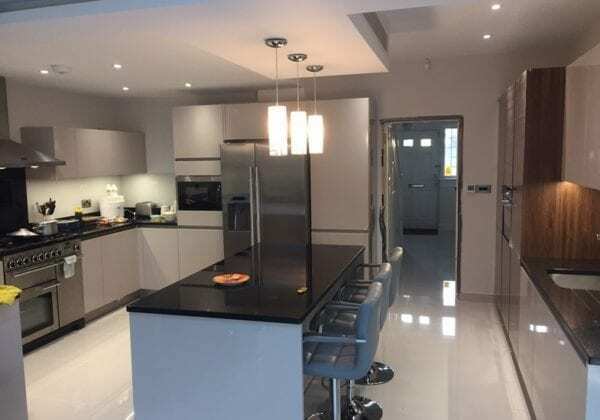 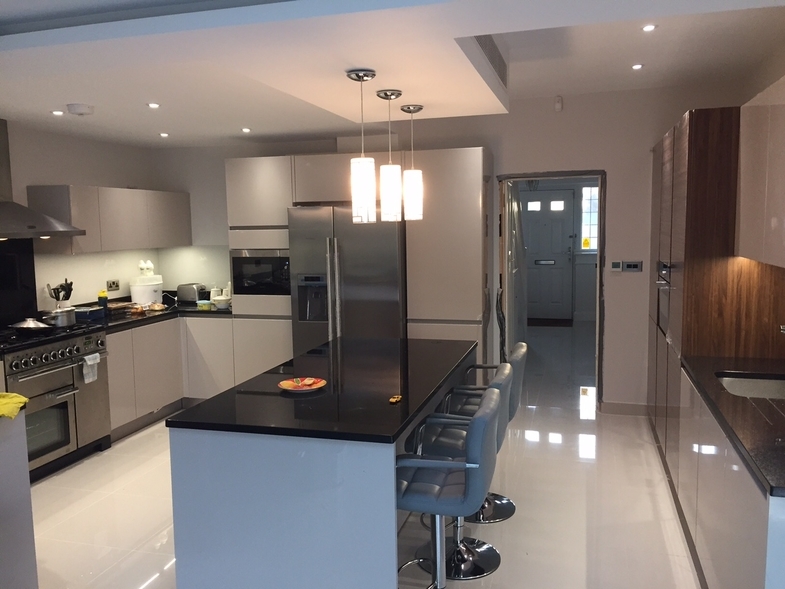 Thank you to our customer Rab Hashem for letting us have this excellent photo of his recently finished kitchen design. 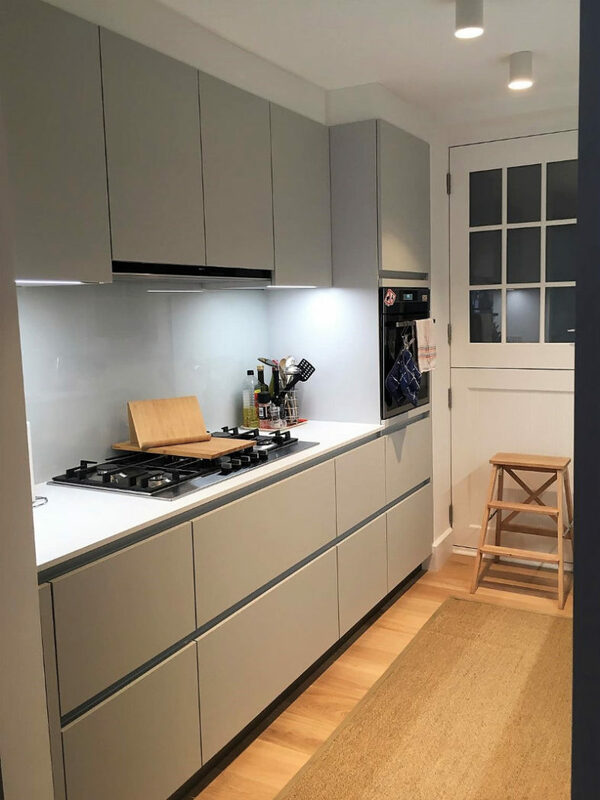 Rab chose the superb Sand grey colour from our Next125 range in high gloss lacquer finish. 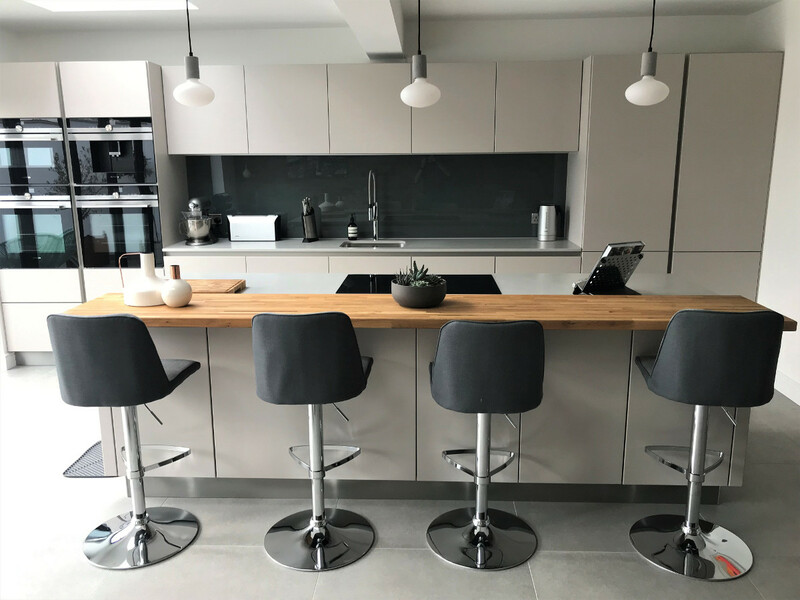 The tall units to right of the image are in Natural walnut.